Tibastro's Specialty Products are available for purchase at this site and can also be found in many retail outlets in Australia. All these products originate from our research into the ancient Tibetan systems of astrology and medicine. We consider these products to be very special in that we have found craftspersons to revive these ancient arts. All these products are made especially for Tibastro.com and come with booklets explaining their unique qualities. Buy direct from Tibastro Imports for best quality and value. is made from five metals that subtly influence the five elemental and planetary energies circulating in the human body. Worn on the wrist it is said to assist in harmonising these energies, and is a positive influence on our general health and well being. Specially made for Tibetan Astrology Australia. Comes with small information booklet on the subtle effects of the metals and design. This Tibetan Melong or Shamanic Mirror is an ancient mystical device that has far ranging applications. Its origin dates back 5000 years to the ancient pre-Buddhist era of the original Tibetan Bon shamans, who were the healers, prophets and magicians of the Nomadic inhabitants of the Tibetan plateau. 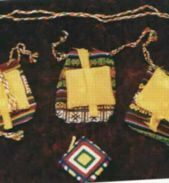 When Buddhsim came to Tibet , many of these practices were absorbed into Buddhism giving Tibetan Buddhism its distinct qualities, and today the melong is still used and worn by many lama's, astrologers and healers. More info. In TIBET, the making of amulets, sealed in silk brocade is a long honoured tradition dating back to ancient times. 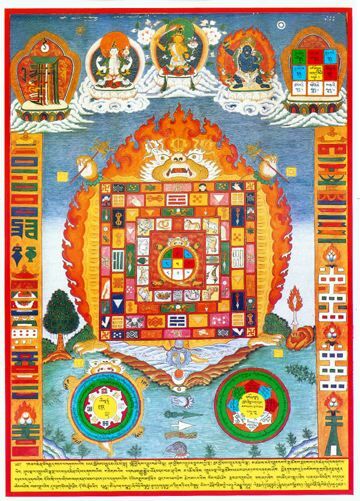 This is the 'great symbol' of Tibetan astrology and astronomy and contains all the symbolic keys to these sciences. Used in Tibetan 'geomancy' to prevent negative influences from entering the home. It is usually displayed above the main door, but can be used effectively anywhere within the home or work environment. 49cm X36 cm Glossy colour. Explanation in English on reverse side. by Men Tsee Khang astrologers. Soft Cover: 65 pages: 1999. The Tibetan-English Dictionary of Tibetan Medicine and Astrology. herbs, astrological terms, anatomy, folklore, medicines, methods, etc. The essential reference work for scholars or enthusiasts. Limited edition: Hardcover: 360 pages: Dharamsala, 1999. If you are really serious about Tibetan Medical and Tibetan Astrological books ENTER our astro-medical collectors books we can obtain for you.